On Thursday 24th May 2018, GRM hosted OED2018 at the Williams Conference Centre, Oxfordshire. Those who joined us learned about the latest developments and applications in the field of design optimisation. In keeping with GRM's philosophy of the practical application of optimisation technologies, the conference showcased real-world case studies across a diverse range of industries. Through presentations, technical workshops, challenges and meeting with experienced optimisation users, our delegates learned about the latest developments and upcoming advances in design methods and optimisation technologies. The opportunity to network with like-minded engineers, designers and managers looking to harness practical optimisation to reduce part mass, cost, and improve performance was invaluable. Click the Agenda button above for an overview of the day. 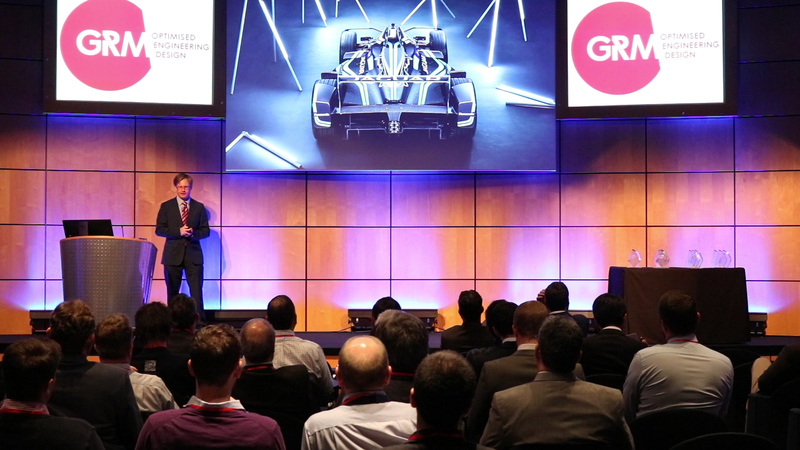 Explore our Speaker Spotlight Series to discover the wide applicability of GRM's optimised engineering design tools across a broad range of industries: Automotive, MotorSport, Aerospace, Rail, Defence, White Goods, Medical and more. Review presentations from the last Optimised Engineering Design event of 2016, where GRM celebrated its 10th anniversary.